The Hartbeespoort Dam and Magaliesburg offers a stunning backdrop for hot air balloon flights. Passengers can enjoy hot chocolate and marshmallows or tea and coffee while the crew prepares the Hot Air Balloon for inflation. You are free to get involved in the inflation process and safety checks under the guidance of one of the crew members, and learn some ballooning facts in the process. After the safety briefing from the pilot there is “lift off” and the flight generally lasts about an hour, depending on the winds and available landing spots. You will float aimlessly above the earth and go wherever the wind decides to take you, which makes each flight a unique experience. You can expect a perfect all round view of the Harties area, Magalies Ridge and Valley, and if the skies are clear enough, the pilot will point out Pretoria and Johannesburg. During any good flight, the pilot will gain altitude for views, skim a few tree tops during contour flying, and when brave enough attempt a “splash ‘n dash”. You can expect one of two types of landings - (1) a gentle touchdown, hardly noticing that you have landed, (2) a slightly faster landing where you can expect the basket to possibly drag along the ground for a few metres before coming to a stop. Both are perfectly normal, and depend on the prevailing winds at the time of landing. The retrieval crew will track the balloon from the ground, and be ready to greet you on landing with a traditional champagne toast and cold beverages. When ready you will be transported back to the launch site for a healthy to hearty breakfast, after which you will be presented with a certificate of achievement. For more info read our review of a Hartbeespoort hot air ballooning session. We will both email and post the vouchers to you, to present to the VERY lucky person. Weddings are catered for! Why not get engaged or married in a hot air balloon. Children too small to fly are welcome to be Mini Crew for the morning’s activities and join the retrieval crew on the ground. They can chat to mom or dad over the two way radios and will be there to see the balloon take off and land. They will be well taken care of and have lots of fun on the ground. Launches are mainly from Jasmyn / The Thatch Windmill which is located in Meerhof, Hartbeespoort. However launches could take place from almost anywhere in the country with permission from the local authorities, for group bookings of 6 passengers or more. Please let us know if you have any special requests. 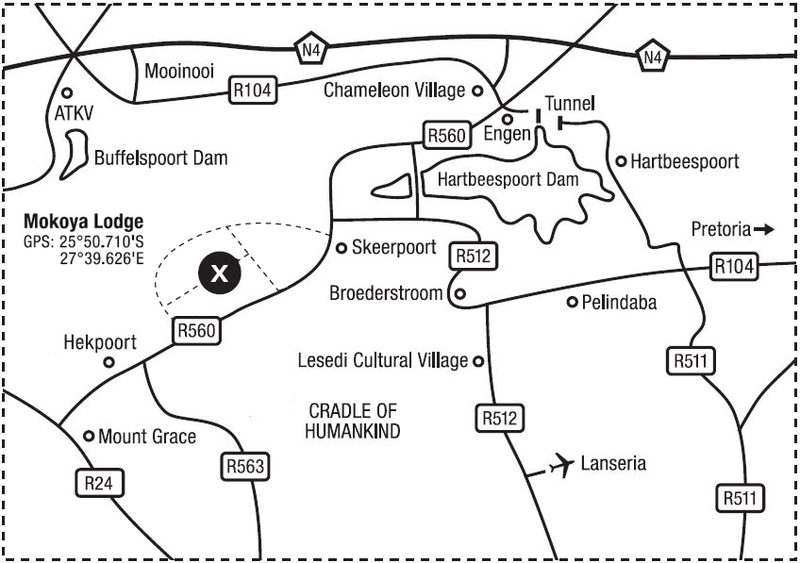 In Cullinan the launch is from right next to the big hole, and there is a possibility of seeing some game. Madidaba is a lodge on a game farm north of Pretoria and you could see game there too. Magaliesburg is nice and green, quite scenic. The ballooning takes place at sunrise, as winds are at their calmest during the first hour of the day and therefore this is the best time to fly. It is an early start to the day but definitely worth getting up for. Whilst the largest balloon can take 6 passengers, more than 6 can we flown as there are several balloons available. It’s always nice when there is more than one balloon flying, as each flight is different and makes for awesome photo opportunities of the other balloons. Rates for hot air ballooning at Hartebeespoort are R2150 per person. Up to 2 children under 12 years old per flight of 6 passengers qualify for a 50% discount. If you require an exclusive flight (i.e. only a couple plus a pilot) it's R3000 per person sharing. Non-flyers are welcome to accompany passengers for breakfast at a cost of R85 each. Refreshments prior to the flight, transport in retrieve vehicle and champagne at the landing site and / or during breakfast included. Transfers to and from the launch site can be arranged at a reasonable rate. Once you have chosen a date for your Ballooning Experience please fill in the form at the top of this page. Payment will secure your booking. Once we have received proof of payment you will be sent a booking confirmation as well as directions to the launch site. phone number where you can be contacted after hours in case of bad weather and the flight has to be postponed. Please let us know if it is a special occasion, for example a birthday or anniversary, especially for surprises so that we can make sure that we don’t let the cat out of the bag. We prefer EFT Payments or Direct Deposits. Arrangements can be made for credit card payments. Please add 5% of the total for all credit card payments. Proof of payment / Deposit Slips should be faxed to 086 655 4192. Safety is of utmost importance and always the first consideration. There will be no flight if conditions are not suitable, and the final decision to fly is usually made by the Pilot in Command at the launch site on the morning of the flight. If the flight is cancelled due to bad weather, the flight will be rescheduled for the next mutually convenient date. If you choose not to reschedule, you will receive a refund less a 10% cancellation fee to cover expenses. Please note, that if the passenger cancels the flight 7 days prior to a flight, the deposit is forfeited. If passengers do not show up for a flight on the day or are late, they are liable for the full amount of the flight. By confirming the booking, you are agreeing to these policies and charges. Team building exercises and corporate groups are catered for (it will involve cooperation and use of long standing agreements with other ballooning operators, enabling larger groups to be flown). All passengers are flown under air services number for Class II (chartering) N606D and for Class III (advertising) G607D, in accordance with the approved operations manual and the provisions of the Air Services Licensing Act 1990 (Act No 74 of 1962), and the Civil Aviation Offences Act 1972 (Act No 10 of 1972). Balloons are inspected according to the rules and regulations of the SA Civil Aviation Authority. Pilots have a balloon pilot rating from CAA. It is extremely important to only fly with pilots who work for a commercial operation. All Discover Ballooning's pilots have years of experience and have flown both nationally and internationally. Ballooning is statistically the safest of all aviation sports. There is however a standard indemnity in place which all passengers are required to sign before boarding. We can arrange ballooning near Paarl, Cape Town. Email cheapflights@southafrica.to to make a booking (do not make any deposits - note the bank accounts mentioned above are not correct for Cape Town ballooning). Hot air ballooning in Gauteng is also available from the Cradle of Humankind.